Car-buying experts have identified certain times consumers should delay or avoid purchasing a new vehicle. Here are four examples, some of the reasoning may surprise you. You may be smitten with the new release of a certain make and model of car, but if the rest of the world is too, then unfortunately this popularity increases the price. 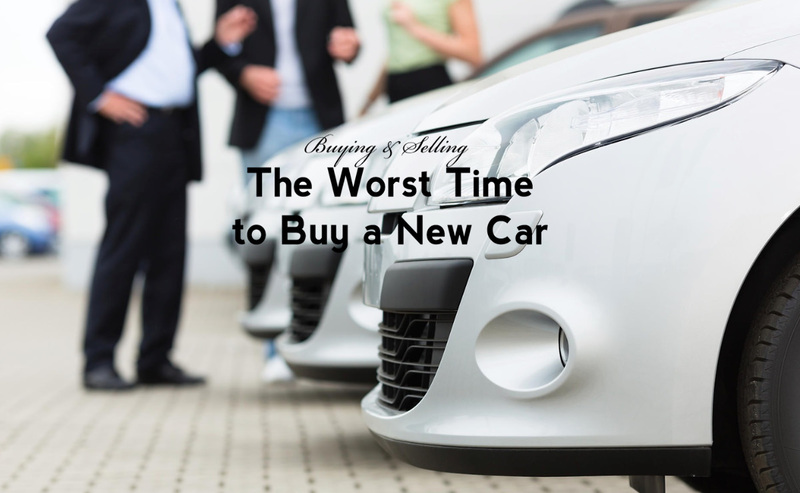 Buying that new car when it’s in high demand isn’t the best choice, because that’s when car dealers and manufacturers have the upper hand with price. If at all possible, wait for the attention to dwindle even if it means living with your current vehicle for a few months longer. If you opt to finance a new ride and are shopping around for the best rate, try to condense this into a 14 day window. The reason is when credit inquiries from multiple dealerships come in within the 14 day period, they all basically count as a single inquiry. However, if you spread out your research between weeks or months, the previous loan application could have a negative impact on your credit score and the loan rate you are ultimately offered. So plan your applications and credit checks strategically, or decide when you’ll accept the financing package regardless of the terms. The absolute worst season for buying anything car related is the Spring. From new tires to a new car, if you wait until August or even fall, the dealerships are more flexible on price. People tend to get an influx of money from tax refunds in the Spring, and head straight to the car lot to spend it. Hold off if you can, and time your vehicle expenditures for August, which tends to have the lowest average transaction costs of the year. It’s not just the season, but the day of the month that could make a big difference on your wallet. The last two days of the month usually give consumers an edge. Car dealers are under pressure to meet a monthly quota, allowing buyers a chance to push hard for more incentives and discounts. If you start your price negotiation in the first week of the month, you have much less leverage to get a great deal. New releases in any industry garner excitement, anticipation and consumer competition to be the first to own the most up-to-date version of shiny new thing. Before you get sidetracked by a vehicles sleek curves and bonus perks, do some research. Often the dazzle is skin deep, and under all that the vehicle might be virtually identical to past models. Patiently exploring resources that have done all the homework necessary to compare model years, like Car and Driver will also save you the headache of buying a lemon. Consumer Reports is an independent agency that drives, investigates and reviews new vehicles, so waiting for their annual report on what to buy and what to avoid, could save you money and heartbreak in the long run. With these ideas, you’re better armed to get the new car you want, and keep money in your pocket.